Baron Bodo Von Bruemmer, born in Tsarist Russia in 11/11/1911, made a fortune working as a banker in Switzerland. Then, at age 51, he was diagnosed with a terminal disease and told he had two years to live. He decided to look for a place where, after his passing, his wife could live without worrying about money. In 2007, shortly after his 96th birthday, Von Bruemmer felt the urge to plant a vineyard. He knew nothing about wine making, but was eager to learn. Since then, he has become a legend. With the help of a talented team of enologists, he planted the most western vineyard in continental Europe. 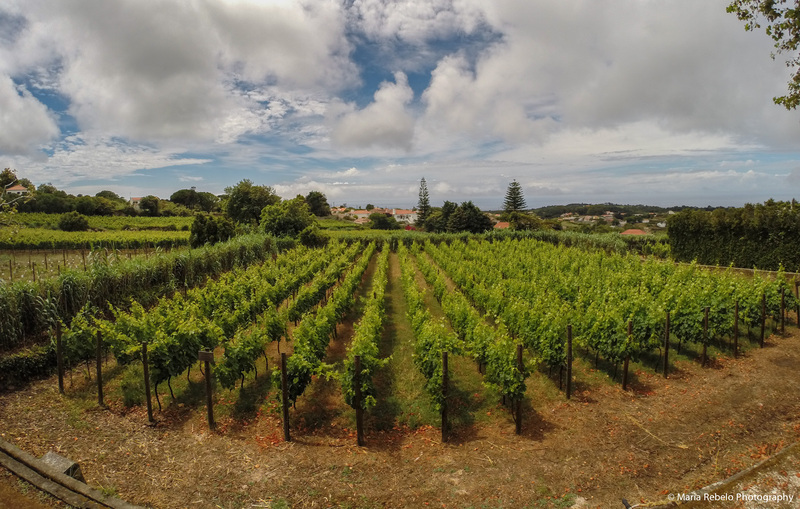 Close to the sea, cooled by the Atlantic winds, its unique terroir produces amazing wines, salty, aromatic, and with great minerality. The baron continues to plant new vines and supervise new projects. He makes his decisions using a small brass pendulum. If the pendulum rotates clockwise the answer is yes. Otherwise, it is no. Every day, Von Bruemmer drinks a glass of champagne. But soon, he will drink instead the sparkling wine that, with the help of his pendulum, he decided to produce. Casal de Santa Maria is a magical place, where vineyards surrounded by roses produce some the world’s most interesting wines. Postscript: Baron Bodo Von Bruemmer passed away in November 2016 at 105 years of age. He set up a foundation so that Casal de Santa Maria can continue to produce the wines of a Russian Baron who fell in love with Portugal. Casal de Santa Maria is located on Rua Principal Casas Novas, n. 18/20, Colares, tel 219-292-117, email geral@casalstamaria.pt. It is really worthwhile visiting the baron. The wines are amazing! Sim. é um lugar mágico. Ficamos à espera de ver as suas aguarelas!